Investigations are continuing after four Irish men were arrested in Spain in connection with a €3.4m drug seizure. Cannabis herb was found concealed in lettuce pallets on a lorry bound for Ireland. The men have already appeared before a Spanish magistrate. A 27-year-old Romanian man was also arrested. 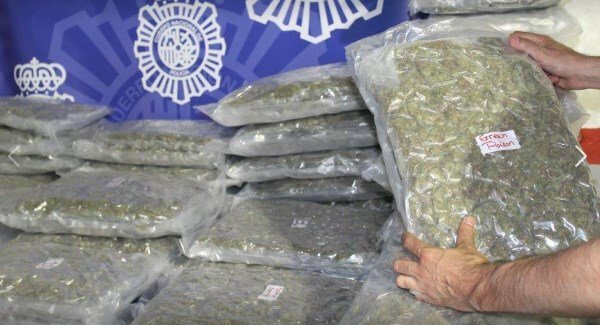 Four Irish men remain in custody in southern Spain after a joint operation by Gardaí and Spanish police uncovered drugs worth €3.4m. Gardaí say the cannabis herb was found hidden in lettuce pallets on a lorry that was bound for Ireland. The operation happened on May 6, near Malaga but details of the operation were only released last night. The Irish men – aged 56, 45, 35 and 33 – have already appeared before a Spanish magistrate. Gardaí are describing the operation as a “significant blow” to organised crime gangs.